You are taught good movement skills step by step, which will ultimately give you the strength and flexibility you need to perform the more advanced traditional Pilates exercises. 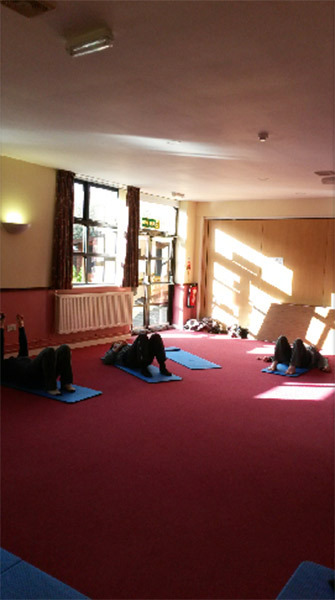 Our programme contains many exercises unique to Body Control Pilates. No other Pilates system has such a safe and progressive approach. The Body Control Pilates® training courses focus not only on teaching the range of exercises to teachers, but also on how to teach them well. Body Control Pilates ® Instructors are renowned for their attention to detail and their ability to cater for the needs of the individual. Before joining a class, your Body Control Pilates ® Association Instructor will ask you to complete an Enrolment Form giving details of any injuries or conditions. Where appropriate and with your permission, they will liaise with your practitioner. All Body Control Pilates ® Association Instructors work to a maximum class size of 12, ensuring close supervision and support from your teacher. Body Control Pilates ® Association teachers work to a Code of Practice that governs teaching standards and professional ethics, and ensures continuous annual professional development. All Body Control Pilates ® Association Instructors must hold up-to-date insurance. The Body Control Pilates ® Association has access to the latest research findings in areas such as core stability, muscle balance and the pelvic floor, and ensures that these are reflected in the teaching programmes.